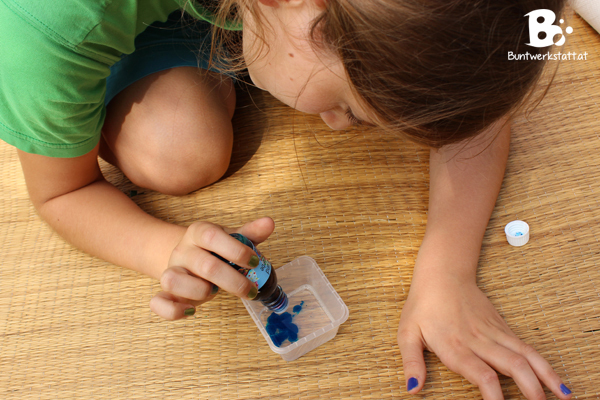 Colors: We experimented with a lot of different colors. 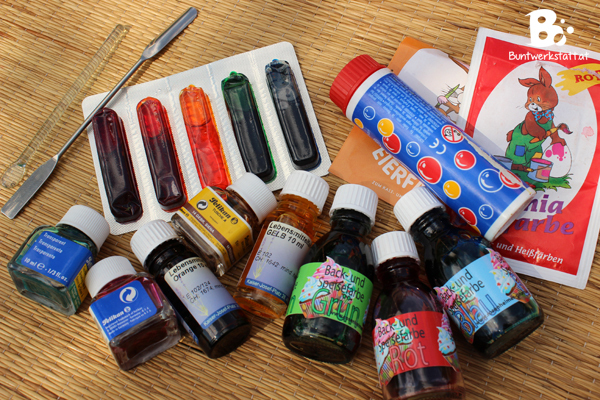 Food coloring, egg dyes, ink and so on. Everything worked. It doesn’t matter if the color is in powder form or liquid. Only sugar-based food dyes wouldn’t work quite so well. 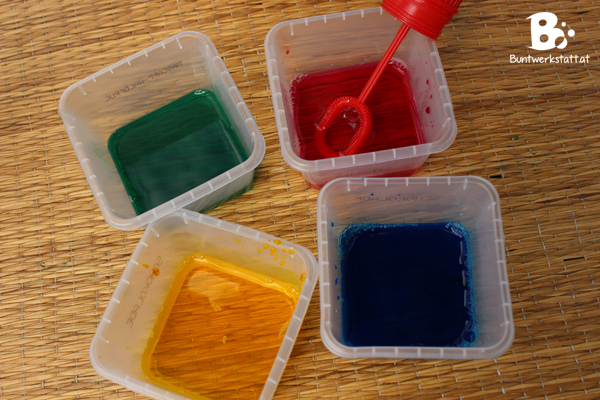 We did get the best results with egg dyes in powder form and ink. 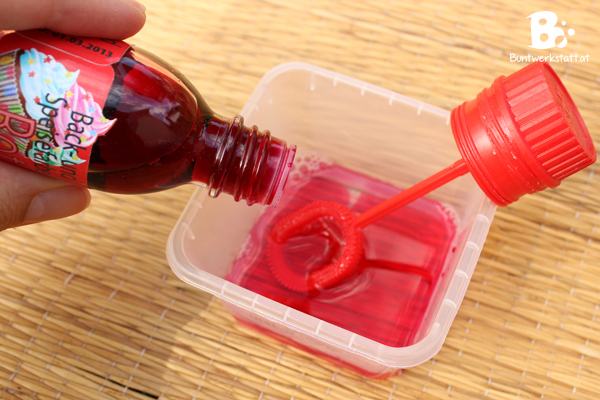 Put some soap bubble mixture in a small bowl. We used empty sundae bowls, because they have the perfect size. If the bowl is too big, you’ll need too much soap bubble mixture. Just fill the bowl about two fingers high. 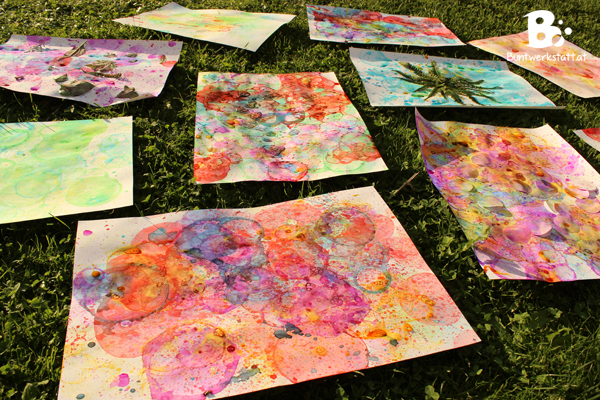 Color your bubbles. 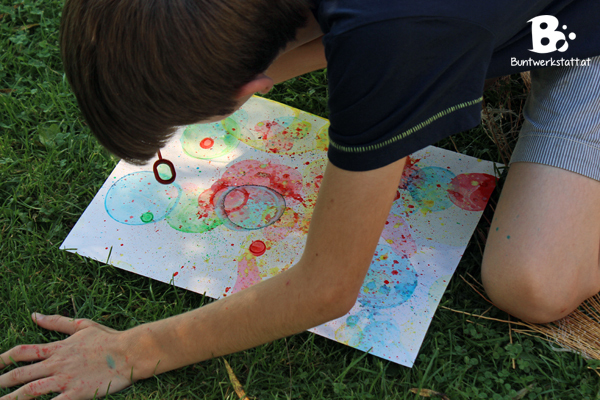 A lot of color is needed if you want to “paint” with the bubbles. Don’t economize on the coloring especially if the shades are light. Otherwise you won’t get nice results. We mixed only a few colors in the beginning, because we didn’t want to waste a lot of product if it didn’t work. But after a little test run we were hooked! 😀 You can mix the colors among each other and create new shades. 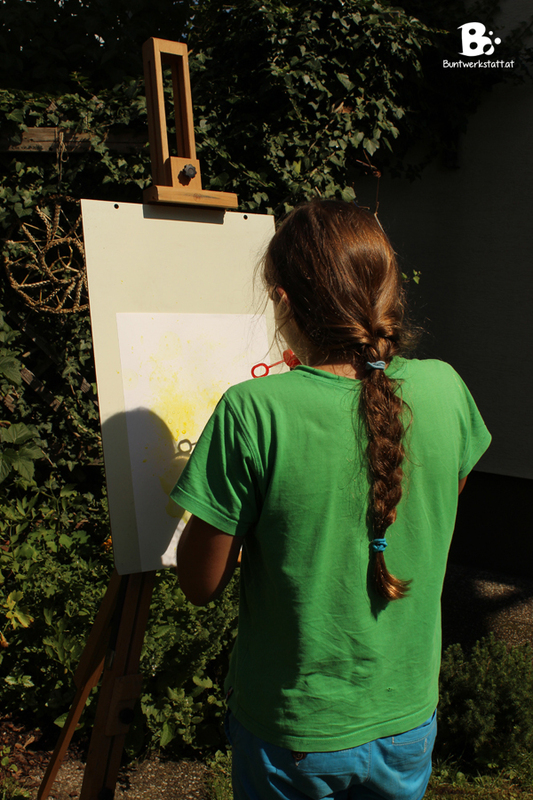 At first we used an artists easel. The results very nice, but it wasn’t ideal. 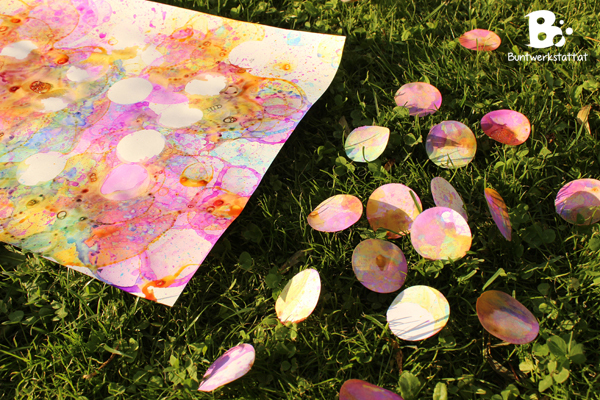 Most of the bubbles got lost in the wind and didn’t pop on the paper. The bubbles create nice round shapes when they burst. In the beginning we tried to restrain ourselves a little, but after a while we went crazy. – Of course! 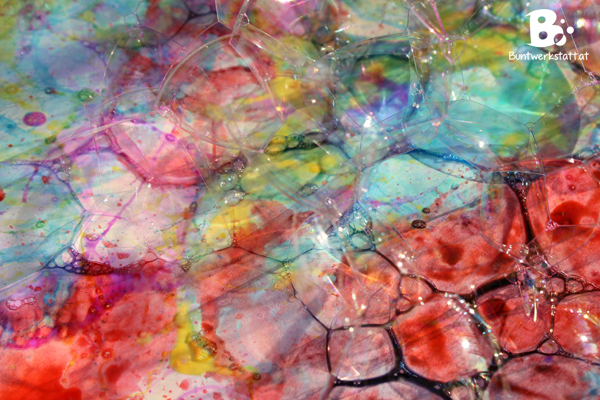 😀 We made little mountains of soap bubbles and created color explosions on the paper. 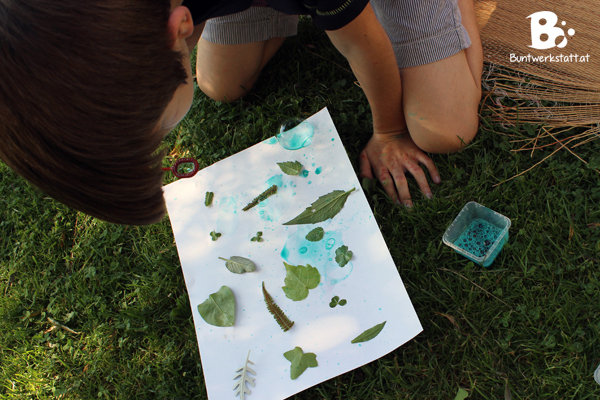 The kids had a lot of creative ideas and collected some leaves and blades of grass and spread them on the blank paper. 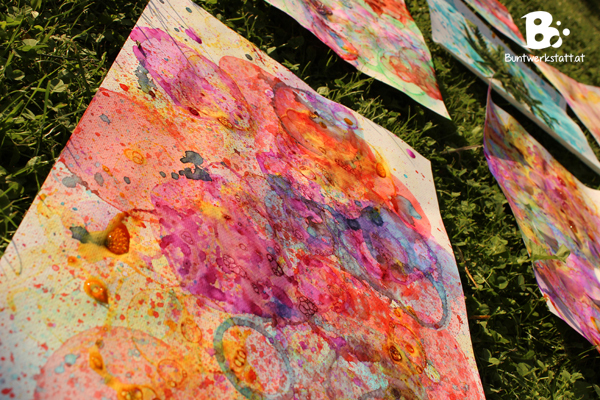 Just let the colors dry before you remove them, and you’ll get interesting results. You can do the same thing with cut out paper shapes. I used a motif puncher to make big circles. 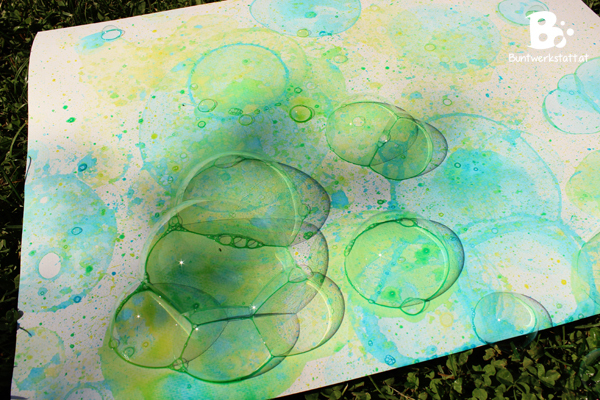 You should not use too much soap bubbles with that method. 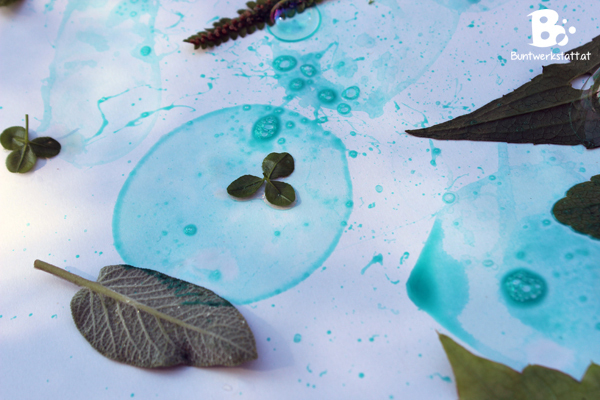 If the paper gets too wet, the color will soak through.